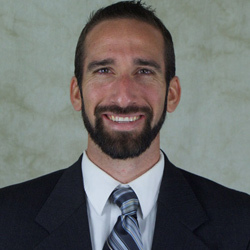 March 12, 2019 – Cypress, CA – Trident University International (Trident) faculty member Dr. George del Hierro has been invited to present on military student populations during the WASC Senior College and University Commission Academic Resource Conference (ARC2019), which will be held from April 10th-12th. Dr. del Hierro’s two presentations are titled, “Assessing Military Prior Learning for Academic Credit: Applying a Framework to Fit the Context of Your Institution” and “Building Programs That Attract and Retain Military Students.” Dr. del Hierro will also lead an ARC Spark session, a collaborative forum for educators and researchers to design new strategies to support military students. The presentations will examine proven tactics that university educators can employ to attract military students, and how institutions can create an environment that is conducive to student success from enrollment through graduation. Topics include credit transfer agreements, understanding military student needs, professional pathways, and program development. Dr. del Hierro joined Trident in 2010 and currently works in University College as a Full-Time Instructor and Course Coordinator. He serves as the co-presenter of the University’s long-running webinar series, “First Day of Class,” allowing him to play an active role in setting new students up for success. In his time at Trident, Dr. del Hierro has held roles in academic advising, financial aid, and academic probation support services. He has received multiple awards acknowledging his work motivating and collaborating with students. Dr. del Hierro earned a Ph.D. in Educational Leadership and Master in Business Administration (MBA), with a concentration in Finance, from Trident. He holds a Master of Science in Higher Education and Student Affairs from Indiana University, Bloomington and a Bachelor of Arts in Psychology from California State University, Long Beach. Founded in 1998, Trident University International (Trident) is a leading online postsecondary university serving adult learners. Trident uses the EdActive™ learning approach, which employs case-based learning in an online setting to teach real-world relevant critical thinking skills to enhance the lives and careers of students. Trident offers high-quality bachelors, masters, and doctoral degree programs and certificates, led by a qualified faculty team, over 80% of whom have doctoral degrees. Trident is regionally accredited by the WASC Senior College and University Commission (WSCUC) and has over 27,000 alumni, including more than 22,000 with a military affiliation. The University has received multiple acknowledgements from Military Times, Victory Media’s Military Friendly Schools, and Military Advanced Education & Transition for their dedication to military-affiliated students. Visit www.trident.edu, Trident’s Facebook page, or call at to learn more about Trident’s wide range of educational options.